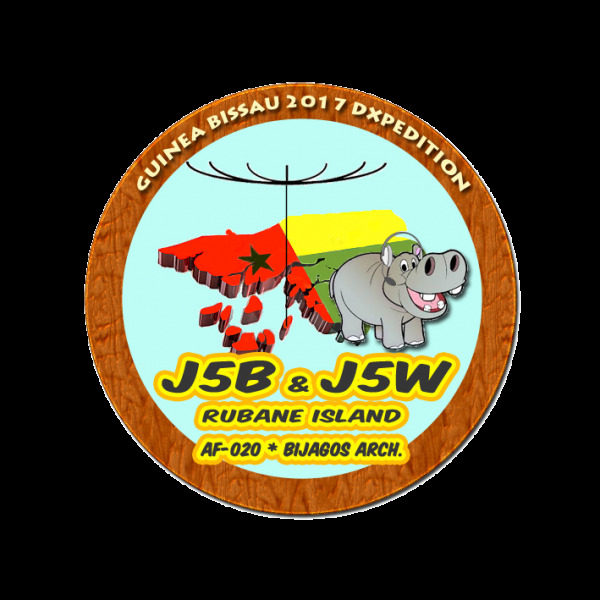 Josep, EA3BT and Nuria, EA3WL will be active from Rubane Island, Bijagos Archipelago, IOTA AF - 020, 7 - 15 April 2017 as J5B and J5W. They will operate on 40 - 6m and will try 80m also, CW, SSB, RTTY. QSL via EA3BT, ClubLog OQRS. JOSEP GIBERT DEL PINO, COL-LEGI, 1, 08800 VILANOVA I LA GELTRU (BCN), Spain. Rubane Island, Bijagos Archipelago. J5B J5W. Logo. J5B J5W. Where is Rubane Island located. Map.